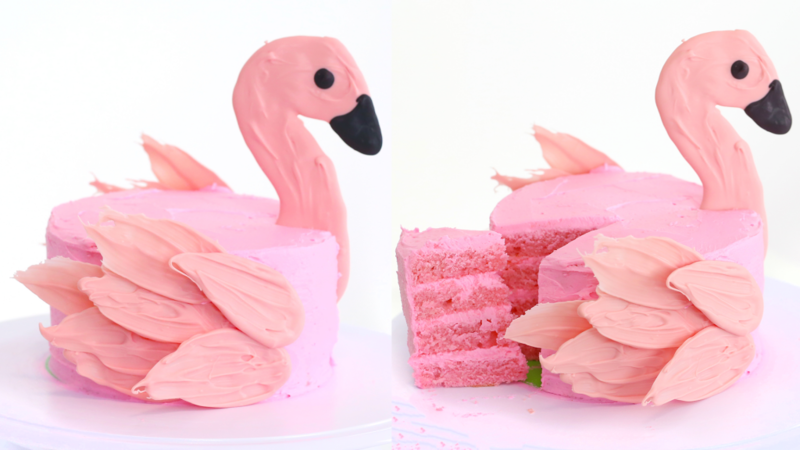 If you’re obsessed with all things pink flamingo like we are, check out this amazing party cake idea from Tastemade! With cute pink tinted candy melts turned into flamingo feathers, this tropical treat will fit any luau or beach themed Birthday party decor! Grab a couple of pineapples and you’ve got a quick and adorable dessert table or centerpiece display! We can’t wait to give this brush stroke technique a try!